Hello my sewing enthusiast, today I have a pattern review by Simplicity 1358!! I know your probably excited to know I finally sewed something for myself for once. If you have been following my blog for some time now, then you know I usually sew for others, mainly my daughter and my Etsy shop. Even though I've been sewing for a couple of years now, I've only made about 5 things for my self, shocker right!!! I honestly feel like I'm my worst critic when it comes to designing or sewing for myself because, I'm self conscious about my weight YES I said it!! I keep telling myself I'll sew my dream wardrobe once I'm in my ideal body, but let's face it hunny it isn't happening anytime soon. Especially since now I'm expecting baby number 2 and like most mommas out there finding cute maternity clothes are hard to find or too expensive considering you only need them for a short while. Moments like these I'm like well duh I know how to sew so let's put it to good use, am I right!! I started to look through my stash of sewing patterns, (Let me tell you I have lots and lots I hope one day I will sew them all and blog about them here) I stumbled on simplicity 1358 which has six variations, with different neckline options, and different lengths. I figured this pattern would work perfect for my growing bump, and for hot summers in AZ. 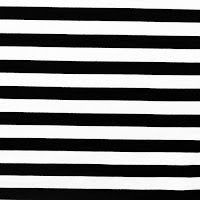 I had ordered a black and white small stripe Ponte de Roma knit fabric from girl Charlee a while back and I had been dying to use it. 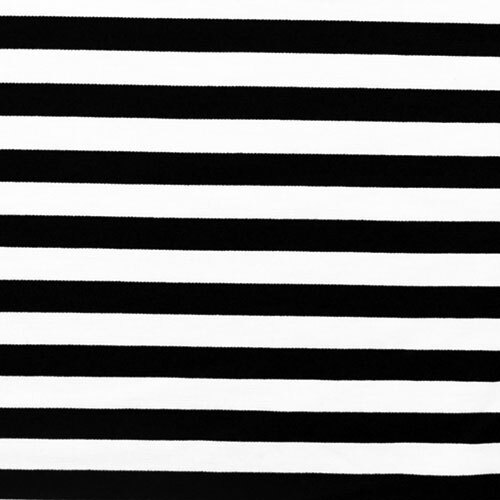 It was the perfect size of stripes and I'm obsessing over black and white stripes at the moment lol. Initially I wanted to do view A since it is a long maxi dress, but I didn't have enough fabric and settled for view C. Based on measurements I thought I was a large but turns out I am actually a medium and so there were a lot of alterations. I ended up taking out 3 inches from each side and 2 inches from the back. It was a bit frustrating getting the fit right pinning my pregnant self was not the business!! Since the fabric was a bit stiffer, it's more suitable for bodycon type of dresses. Instead of getting a nice draped hem I got a stiff A-line skirt. It was just horrible so back to the drawing board, I decided to taper the side of the skirt. A after a lot alterations I finally got the fit I was looking for and I was excited for the final look. I can honestly tell you that this dress is my favorite dress at the moment not only because it was handmade by me but because it has boosted my confidence even though I'm currently preggers. What a good fitting dress can do to you one self I tell you! Now that I have a good fitting pattern I do plan to make a few more. If you plan to make this pattern it is best to sew with knit fabric that will give you a nice drape otherwise you will end up making few adjustments like myself. I took this little number to Disneyland and styled it with my black Nike sneakers looked very sporty casual. This dress can be dressed up or dressed down just add chunky heel sandals or flat sandals. Here are a few photos of how the dress looks with the bump (currently 24 weeks) Hope it still has enough stretch till I'm 30 weeks and that the elasticity on the fabric goes back once baby is born so I can still wear it. I did sew view B which I will blog about it on my next post so stay tune!! Hope you all enjoyed this review and may I have encouraged you to start sewing for yourself and not wait for the right time. 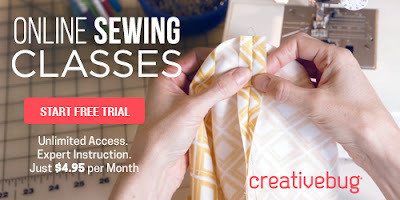 I regret not sewing for myself sooner, so yes I will venture more into pattern reviews and sew that dream wardrobe while getting fit after baby is born. Don't worry a few more maternity friendly sewing's will be shared!! Pattern Description: Scoop neck, knee length knit dress. Pattern Size: I cut a size L, should have cut a medium because I had to cut 3 inches from the sides and 2 inches from the back. I didn't like the A line skirt with my fabric choice it was too stiff I decided to taper it and loved the final results. Did it look like the photo/drawing on the pattern envelope once completed? The top part of the dress did however I made modifications to the skirt and it looked slightly different than the envelope. Would I sew it again: I would sew my modified pattern but not view C.